The Megastar Tour Series was created for the major megastar artist who makes multiple tours and needs a set-up with versatility and power. The scope of the music and repertoire of these artists can range from Pop to Rock to R&B to Jazz … it’s all in there. The Megastar Tour Series delivers a wide range of sound and character the artist demands. First, there are two bass drums,22”x22”and20”x22”. 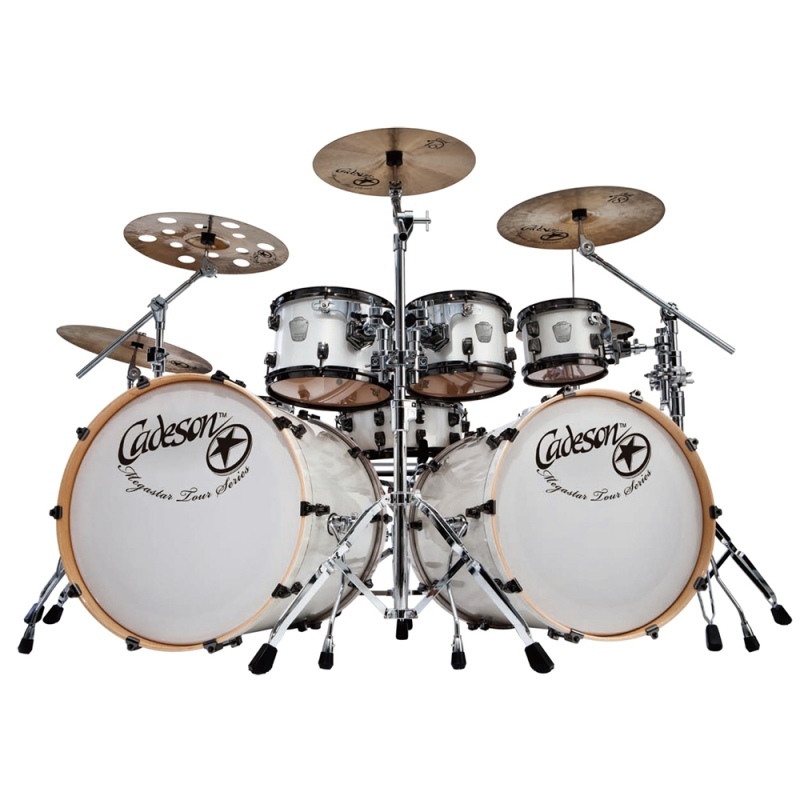 The22”kick is well suited for all the Pop and Rock material, whereas the20”is geared toward the more Jazz, R&B, or groove oriented songs. 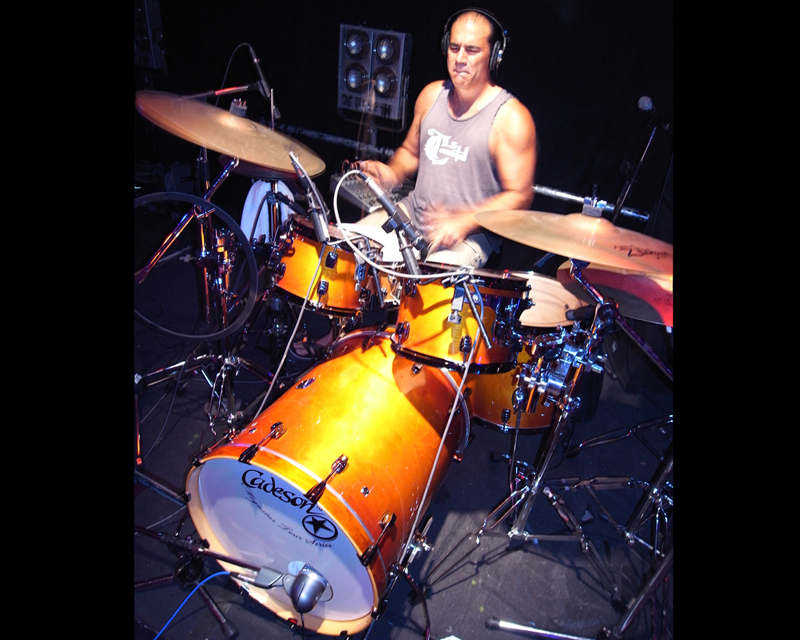 It’s also wonderful to play double bass drum patterns with this set-up. 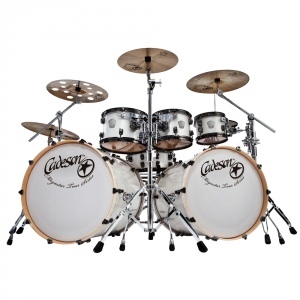 You’ll be the focus on the stage by playing these two bass drums. Two snares are expertly devised with a select combination of woods in order to create the perfect blend with low and high tones. The14”x6”is deep and wide whereas the13”x5.5”has a more focused and tighter attack element associated with it. Again, this makes for great diversity and brings the fast rhythm into full play on the performance front. 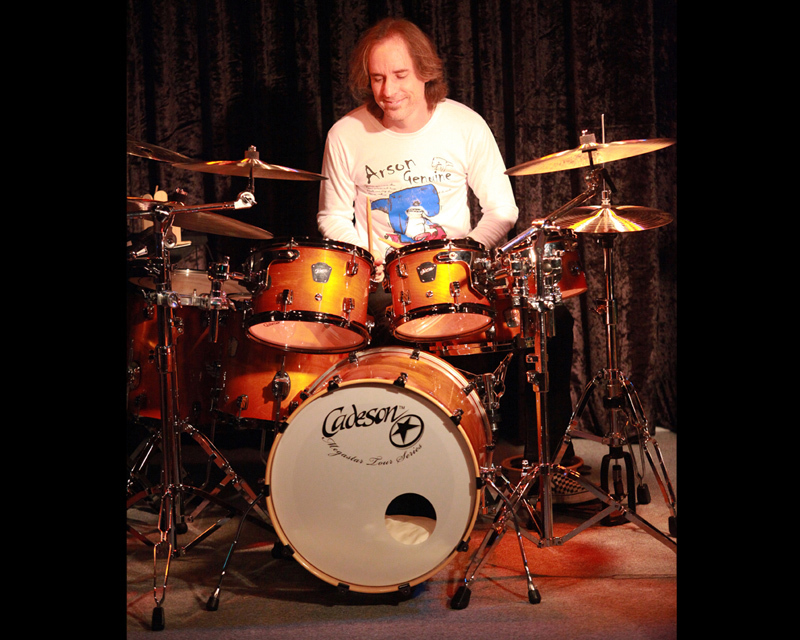 There are three rack toms (8”,10”,12”) giving the overall kit all the higher tuning range and tonal nuances. 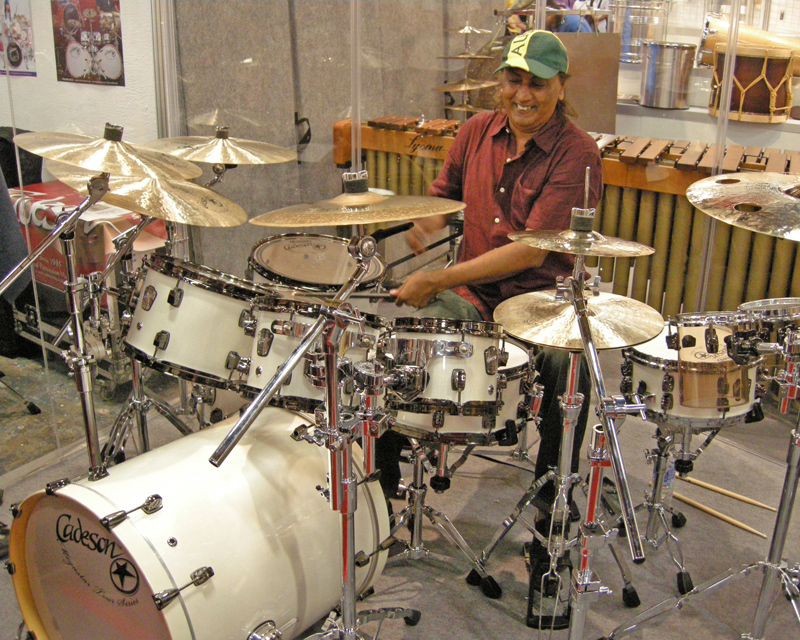 The two floor toms (14”&16”) produce the bottom tone. With this innovative combination, the vivid dynamic range and a wide tuning range are generated with ease. 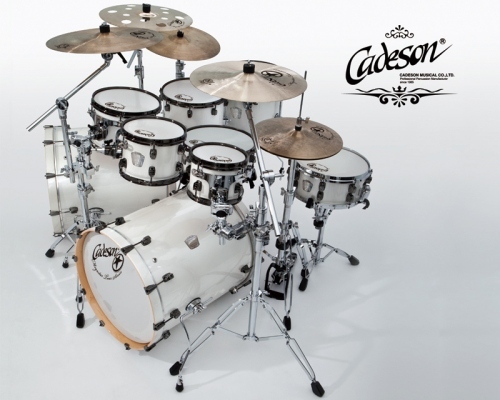 Cadeson is recognized as a specialist in manufacturing customs drums for traditional, classic, Pop, and contemporary music. 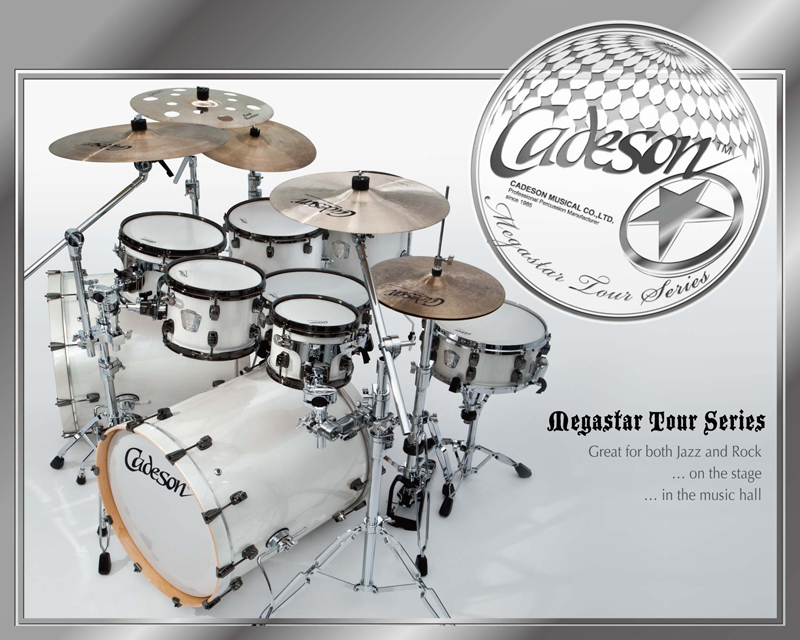 The Megastar Tour Series is once again the innovation of Cadeson with Evans drumheads. The Megastar Tour Series Cymbals are specially offered in various sizes including Splash10”, Hihat14”, Crash16”,17”,18”,19”and Ride21”upon your order.